The Laforge’s motivation in forming Concrete Solutions was uniquely different than similar companies that may be founded by their owners primarily for the purpose of producing income. Mike simply LOVES to work, LOVES to see his final product completed and LOVES to see happy customers enjoying their new patio, driveway, sidewalk or outdoor project. Mike personally oversees the work completed for you, the customer. Kelly is the support center that oversees day to day operations of the company. Blanq Canvass is a Professional Charlotte Coworking Ecosystem. Members receive Uptown amenities without the Uptown stress to include free parking, gourmet coffee, scenic views and monthly fees to fit any budget. The types of memberships we offer include - Private Office, Dedicated Desk, Coworking or Drop In. We’re much more than a coworking space and encourage networking and business referrals for all members. Through people collisions, events and open Coworking in Charlotte NC, you’ll connect with up and coming organizations. Backyard court builders also keep tabs on the latest in athletics technology to provide you with the most updated options possible for your Charlotte, NC court. With your input, they’ll design a space that’s customized for your wish list and your home, then handle the construction. 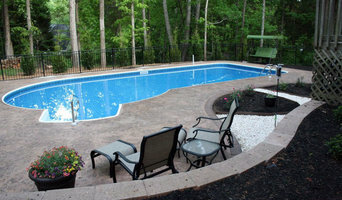 When the inevitable wear and tear starts to show, your North Carolina backyard court builder can repair, resurface or replace the aging elements. To ensure consistent quality and style, your backyard court contractor might also work closely with a Charlotte, NC general contractor, remodeling contractor or landscape professional. Here are some related professionals and vendors to complement the work of backyard courts: Outdoor Play Systems, Landscape Contractors, General Contractors. Narrow your search in the Professionals section of the website to Charlotte, NC backyard courts. You can also look through photos to find examples of Charlotte, NC courts that you like, then contact the contractor who worked on them.